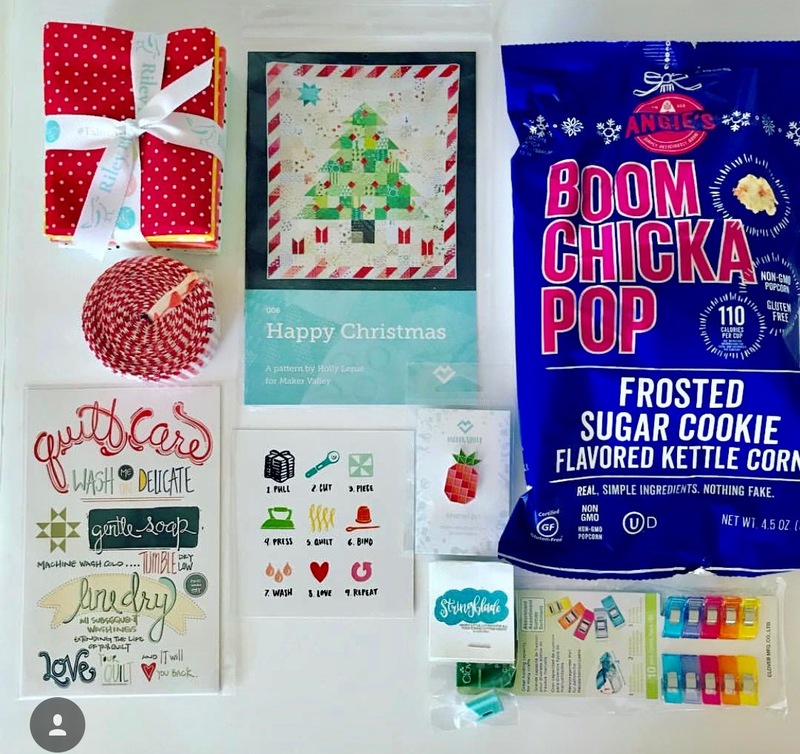 Holly from Maker Valley curated our December box. She chose to include: 1. 6 Fat Quarters of Riley Blake's polka dot fabrics in a variety of fun colors. 2. Holly's new Happy Christmas quilt pattern. 3. Maker Valley's Pineapple enamel pin. 4. A pre-made quilting binding in Riley Blake red and white stripes, made by Simply Mackbeth. 5. Rainbow colored Wonder Clips. 6. Quilt Care cards, perfect for gifting a quilt in a personal way. 7. A String Blade. 8. A coupon code just for our subscribers for items from Maker Valley's online store, 9. Sugar Cookie flavored Boom Chicka Pop popcorn.